Before I tell you this new garget that just launched 2 days ago at Concepts Computer I think I want to talk about the price first lah! The Acer Iconia W3 tablet will be able at Concepts Computer for B$528.00, with student's Rebate of B$88.00 for a promotional price of B$440.00 for the 32GB. 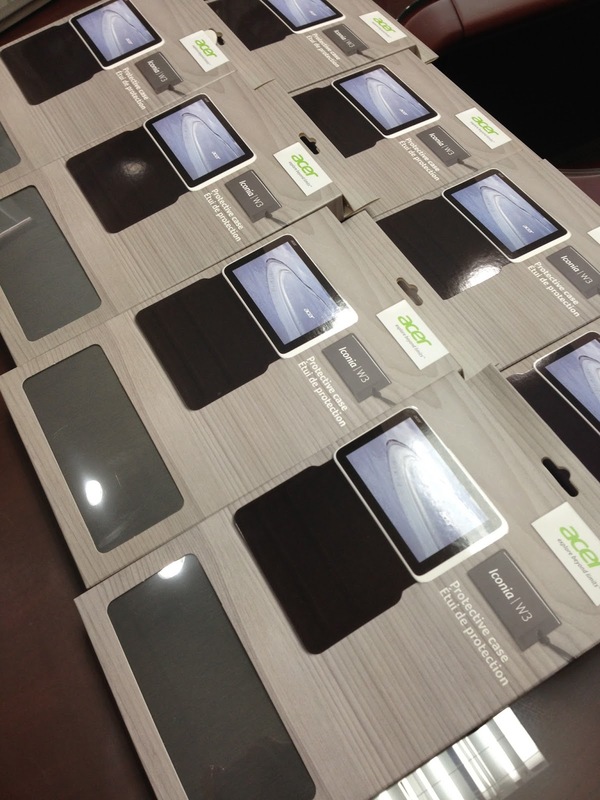 The 64GB one is B$658.00 after student's Rebate of B$88.00 for a promotional price is B$570.00!! 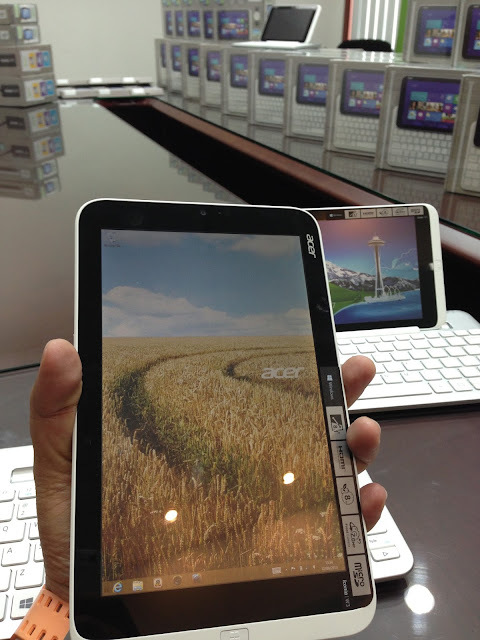 Ok now lets talk about this new Acer Iconia W3. For me got keyboard or not keyboard also doesn't matter lah coz it touch screen already wat!! !of coz it look cool and easy and can hide the tablet behind the keyboard! But what I like about this tablet is come with Window 8 and also together Microsoft Office, Word, Excel and Powerpoint!!! Eh hello... you buy one original also mau hundred plus lah!!! That's why I was surprise when I hold it on my hand! As far as I know normally is run by Android Jellybean etc but this is window 8!! Isn't that awesome??? Acer debuts industry's first 8 inch Window 8 tablet!